The Last Great American Magic by L. C. Fiore: A gem of myth-based historic fiction, which depicts both the beauty and violence of a post-colonial Shawnee nation. 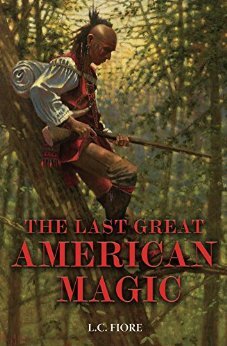 The Last Great American Magic reimagines the legend of Tecumseh, a physically gifted warrior, groomed from birth to one day lead, and his twin brother Rattle, a wickedly smart but lazy prophet with blossoming supernatural gifts. Prepare yourself for a tale that lyrically weaves magical realism with the dark history of our nation. A Vagrant at the House of Love - John Horan: A ghost wanders a city, watching people's lives as the world goes on without him. Black Crow, White Lie - Candi Sary: Two unlikely mentors help a troubled yet extraordinary boy find his way to the truth. The Man I Love - Suanne Laqueur: The hardships of surviving a school shooting are explored with unapologetic depth. The echoes of violence tear apart a relationship with steamy and dangerous heat. STIM - Kevin Barry: Robert is different. He has Asperger's Syndrome. 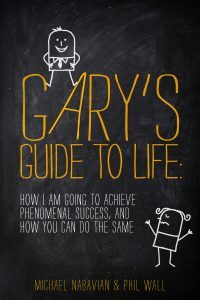 This is his coming of age journey as he struggles to accept who he really is. The Watchman - Matt Langford: The story of a young man with a learning difficulty wo moves into the countryside from the city. Mageborn: The Blacksmith’s Son - Michael Manning: Mordecai’s simple life as the son of a blacksmith is transformed by the discovery of his magical birthright. The Darkening Dream - Andy Gavin: Even as the modern world pushes the supernatural aside in favor of science and steel, the old ways remain. God, demon, monster, and sorcerer alike plot to regain what was theirs. Exit Man - Greg Levin: Eli Edelmann never intended on taking over his father's party supply store. 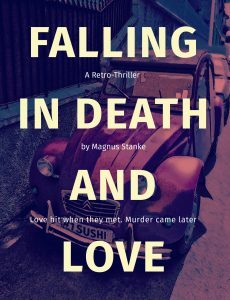 Nor did he ever intend on making a living through mercy killing. Nyx - D. M. Livingston: A sarcastic, mouthy fairy, is hurled into Hell, but instead of damned souls and devils, she finds only a group of confused, young human witches. They Call Me Crazy - Cass Adams: Cass Adams is crazy, and everyone in Deacon, Kansas, knows it. But when her good-for-nothing husband, Roland, goes missing, no one suspects that Cass buried him in their unfinished koi pond. The Cowboy and the Vampire - Clark Hays and Kathleen McFall: One part Western, one part Paranormal Romance, this is an unlikely marriage of genres made truly unique by two authors swapping out their characters' points-of-view. Olga - Ted Kelsey: A creative and fun re-telling of Jack and the Beanstalk. Monstrous - J.L. Murray: Frankie Mourning died on a Thursday. Then she came back. In a world enmeshed in remote beauty, dark magic, and violent memories, Frankie feels lost.